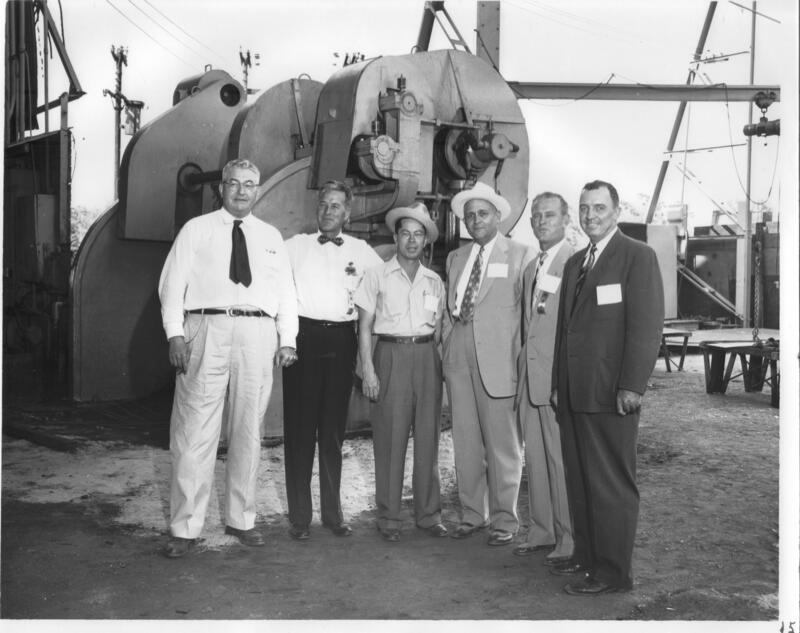 Description: Photograph of a group of men near a machine at the Dollinger Steel fiftieth anniversary celebration. Each of the men have a name tag pinned to their shirt, though none can be read in the photograph. The second man from the right is Herman Myers. A large machine is immediately behind the men while several other machines are in the background.